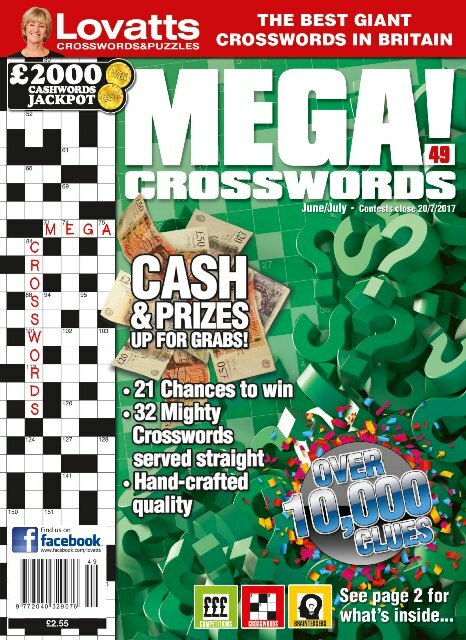 Receive 31 magazines per year! 15 issues for £39.00 by Credit Card. 31 issues for £78.00 by Credit Card. 62 issues for £150.75 by Credit Card. 15 issues for £37.00 by Direct Debit. Direct Debit offer conditions apply. 31 issues for £73.50 by Direct Debit. Direct Debit offer conditions apply. 62 issues for £142.00 by Direct Debit. Direct Debit offer conditions apply. 15 issues for £55.25 by Credit Card for European customers. 31 issues for £111.50 by Credit Card for European customers. 62 issues for £218.00 by Credit Card for European customers. 15 issues for £62.00 by Credit Card for customers in the Rest of the World. 31 issues for £125.00 by Credit Card for customers in the Rest of the World. 62 issues for £224.75 by Credit Card for customers in the Rest of the World. 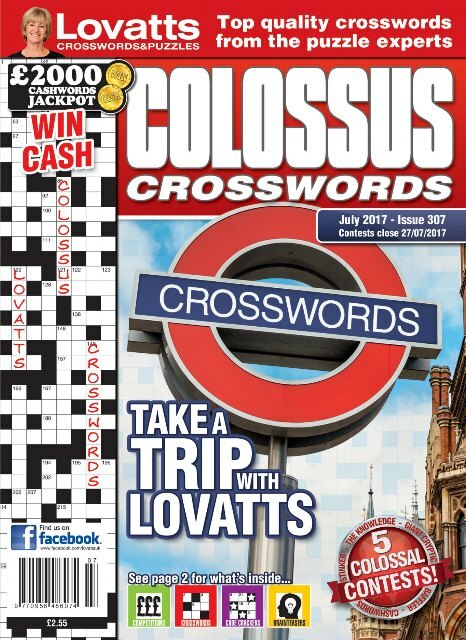 The Works is a mix of Christine's Big Crosswords, Colossus Crosswords and Puzzle Collection. 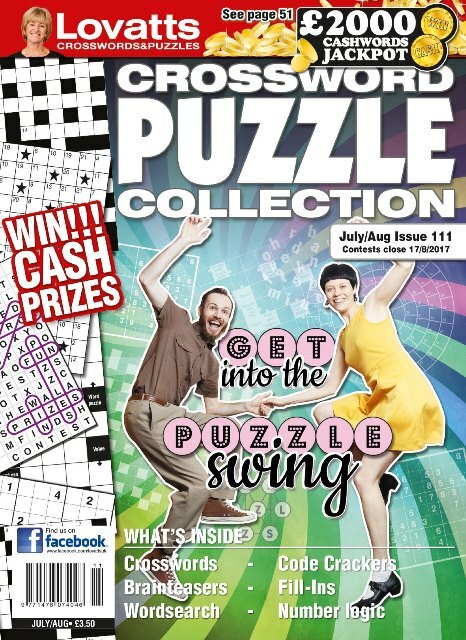 Subscribe today to enjoy FREE home delivery, great savings and a chance to win cash and prizes in every issue! Delivery costs are included in subscription prices.